(L to R) ASC Chief Executive Officer Stuart Whiley is presented with the certification from BSI Australia Managing Director Marc Barnes. Australia’s sovereign submarine company, ASC, has been awarded formal asset management certification for military assets, which will optimise the future capability, availability and affordability of the Collins Class submarines. Certified asset management, under global standard ISO 55001, is international best practice for the management of complex physical assets. ASC managing director and CEO Stuart Whiley said certification puts ASC at the forefront of Australia’s submarine industry, well placed to assist the government to manage the Collins Class fleet and achieve a smooth transition to the Future Submarines in the years to come. "This certification recognises that the entire submarine organisation is committed to optimising submarine capability, availability and affordability for decades to come," said Whiley. "Collins Class submarines are among the most complex vessels ever built in Australia and our formal asset management approach will guide continued performance improvement, cost reduction and innovation." Marc Barnes, Australia manager director at BSI, which carried out the certification, attended a ceremony at ASC’s submarine operations in Osborne, South Australia, to mark the achievement. "It’s encouraging to see that ASC has recognised the benefit of asset management certification to the ISO 55001 standard and are taking a proactive and best practice approach to managing the life cycle of assets," said Barnes. 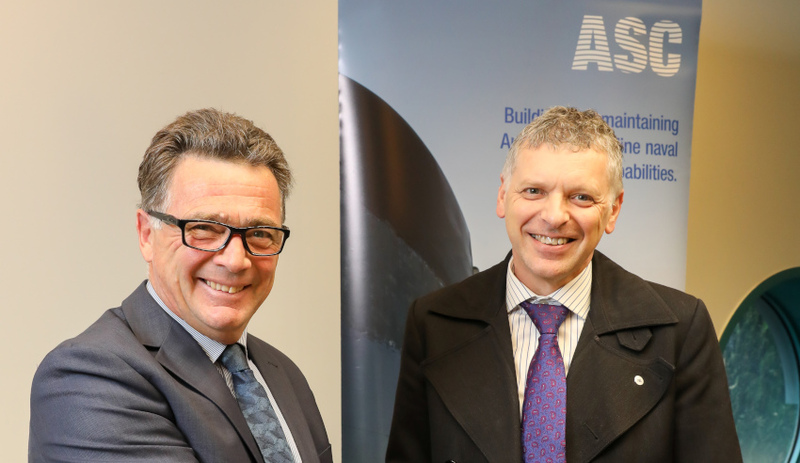 While Defence encourages the adoption of asset management methodologies, ASC is the first Australian defence company to formally implement the standard. ASC’s asset management system establishes a dedicated Life Cycle Management Office and assigns a life cycle engineer to each of the six Collins Class submarines, irrespective of whether the submarine is operational or currently undergoing maintenance, ensuring the best interests of the submarine are met at all times. Typically, two of the six Collins boats are undergoing maintenance at any one time. The Collins Class sustainment program is exceeding international availability benchmarks and the fleet is anticipated to remain in service into the 2040s. "The objective is to maximise the value of the submarine to Australia’s Submarine Enterprise by optimising submarine capability, availability and affordability throughout its service life," said Mr Whiley. ASC’s submarine business employs more than 1,100 personnel in SA and WA. ASC built the Collins Class fleet and is now the design authority and prime contractor for sustainment and upgrade of the submarines, as part of the Submarine Enterprise, along with the Royal Australian Navy, Defence's Capability Acquisition and Sustainment Group and Raytheon Australia.